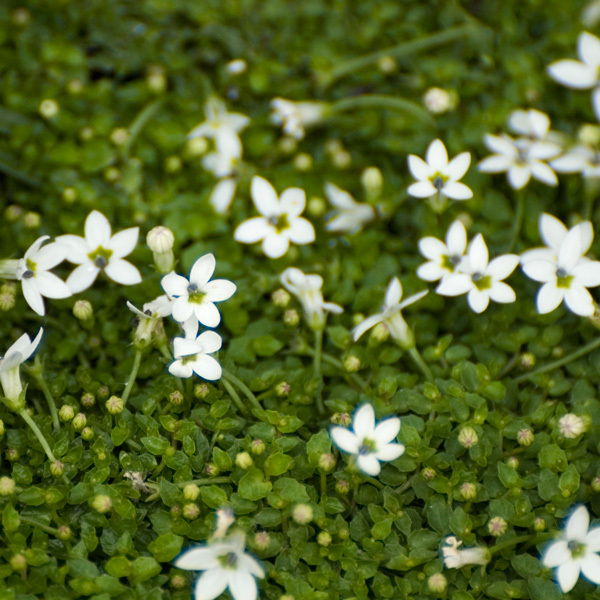 (Often incorrectly known as Laurentia) This little creeping perennial forms a flat carpet of tiny green leaves, smothered with starry, white flowers all summer long. Ideal for planting between paving stones, in the rock garden or as a lawn substitute. Even worth growing as an annual in cold-winter regions. Plants are easily ripped apart into small small pieces to make new plantings, and this should be done in early spring.